Nuclear weapons: UN envoy wants total ban – Royal Times of Nigeria. Prof. Tijjani Bande, Nigeria’s Ambassador/Permanent Representative to the UN said nuclear weapons should be banned because they cause more crises than promote peace among countries. Bande told a news conference at the UN that nuclear weapons now create instability globally rather than deterrence, the excuse most nuclear powers gave. The UN on Friday adopted the Nuclear Weapons Prohibition Treaty in a majority vote by 122 countries leading towards the total elimination of nuclear weapons, while 60 countries boycotted. 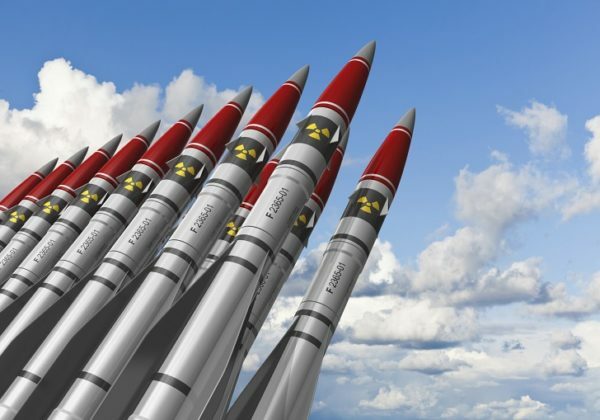 With the adoption of the nuclear treaty, nuclear weapons now joined all other weapons of mass destruction, which have already been prohibited. Nigeria, together with Ireland, Austria, Brazil, Mexico and South Africa played a leadership role in bringing forward the UN resolution convening the Diplomatic Conference that negotiated the ground-breaking treaty. Bande said it was sad that “there are countries that still have nuclear weapons and refuse to give them up”, pointing out that the resources expended on maintaining nuclear weapons could better be channeled to other development projects. According to him, those regions with nuclear weapons have continued to be unstable, citing India and Pakistan and Israel and its neighbours. “Pakistan has a very terrible relationship with its neighbor. Literally, India and Pakistan used to be one country, and the instability of the situation is that these are two nuclear neighbours. “So what advantage in the relationship strategically do they have? Nothing; they are just spending the money on nuclear weapons. “A lot of people are poor in India, a lot of people are poor in Pakistan, and everyday people are killed in low-level warfare but they are nuclear States,” he said. According to him, Israel also has nuclear weapon while Iran is reportedly trying to acquire one in what seems to be a sad reminder of dangerous arms race among countries. “So the larger question really is: there is something that makes people crazy about wanting to have latest weapons in nuclear but of what use then are they? “With all the provocations, would Israel use nuclear weapons in its own neighbourhood? “So these are the questions but when you ask these questions, people say ‘oh, my neighbour has’. He has and he can’t eat them. “You are trying to have, you can’t eat it, you can’t even use it. So the whole issue then is that there is a sense of competition. Bande, however, warned that while countries that possessed nuclear weapons could not even use them deliberately, accidents could happen. The Nigerian envoy alluded to the recent nuclear weapons concerns over North Korea, saying deterrence via the threat of the use of nuclear weapons had failed. “In classrooms and politics, we are told they (nuclear weapons) are ‘deterrence’, I do not think that this deterrence has worked; these just are theories. “If there were no nuclear weapons and no threat felt by North Korea, it’s possible that the regime would not have started its efforts to produce these weapons,” he stated. 122 nation states voted in favour of the adoption of a legally binding instrument – a treaty for the prohibition of nuclear weapons at the UN conference, while one respectively voted ‘no’ and ‘abstention’. Netherlands voted against while Singapore abstained as well as all the Permanent Members of the UN Security Council, a fewer other countries and Japan that was the victim of nuclear weapons in Hiroshima and Nagasaki. The text adopted on Friday represented the successful outcome of the first multilateral nuclear disarmament negotiations in 20 years. State Parties to the Treaty are expected to have the signing ceremonies at the UN headquarters in September, at the sidelines of the High-level UN General Assembly, and subsequently ratify it.